TAMPA, Fla. (AP) -- A former hockey captain for the Tampa Bay Lightning suffered minor injuries following a bus pileup in a Florida highway. 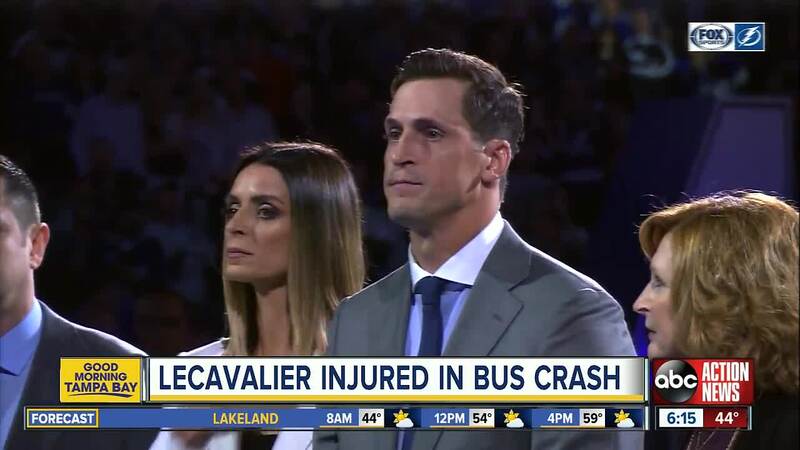 The Florida Highway Patrol told media 38-year-old Vincent Lecavalier and two other men were taken to the St. Joseph's Hospital Saturday following the charter bus crash. The accident occurred near mile marker 5 in the westbound lanes on the Selmon Expressway. It delayed Tampa's Gasparilla Pirate Invasion, an annual parade that attracts about 200,000 people to the city's downtown waterfront. The three buses that collided were carrying parade participants. Troopers said two drivers were cited for careless or negligent driving. All the injuries were minor.